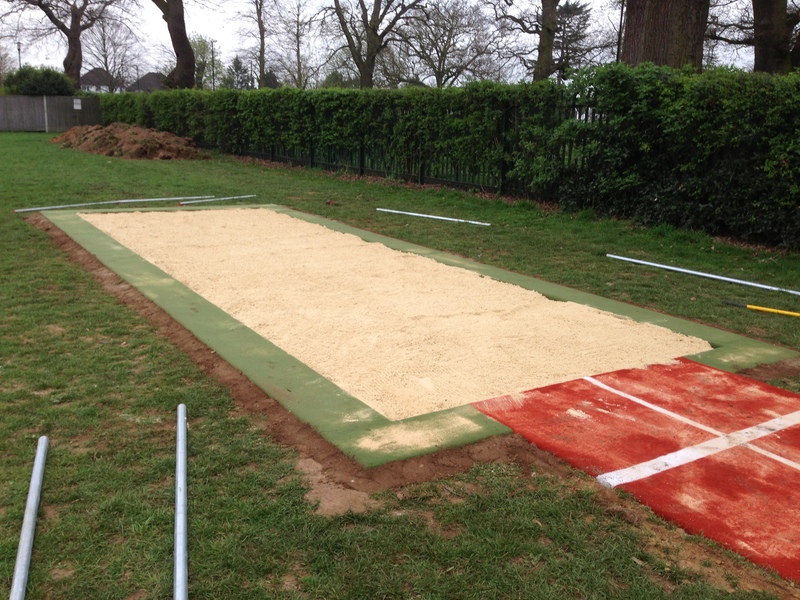 Throughout the UK many schools, colleges, sports clubs and leisure centres are looking to improve their sports facilities but do not have the budget or outdoor space to install a full sized running track or long jump pit. 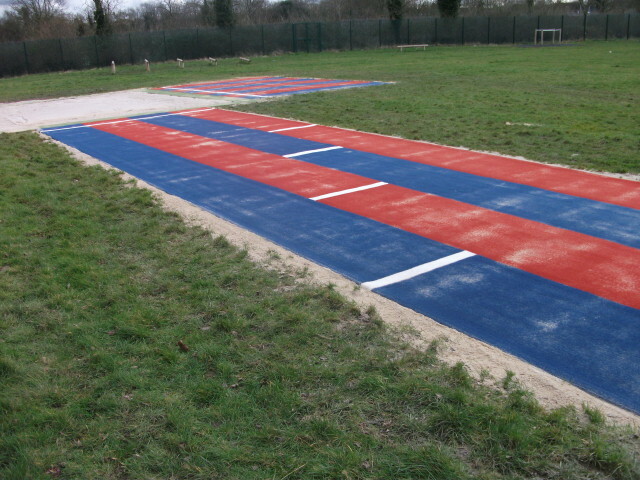 We are compact athletics facilities construction specialists and can offer a range of designs for smaller sized sprint tracks, long jump pits, high jump fans and other features. These are perfect for incorporating lots of different activities into one space and providing a versatile recreational area which can be used for practise sessions and fun games. Don’t hesitate to contact us if you are looking for more details on these products and the various designs that we can offer. All you need to do is complete the contact form on this page and let us know what you are interested in having installed. 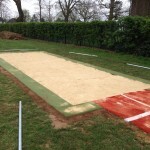 For schools and public facilities that want to introduce athletic events to a wider range of young people or the general public, it is not always necessary to build a large full sized running track or a professional standard long jump runway and pit. As an alternative these organisations can create compact athletics facilities which incorporate the activities they want, and fit into the outdoor space that is available. These versatile areas can be built to complement any existing sports facilities in terms of design and function. For example a colour scheme could be selected which matches the design of a tennis court or playground that the school already has, or a jogging circuit could be installed around the perimeter of a sports pitch. Feel free to contact our team if you need some more information about these outdoor sporting facilities. We’d be happy to answer any questions and provide further information on the costs and designs. 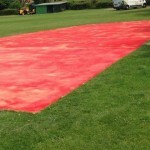 In this video, our team build a synthetic long jump facility for recreational use at a school. 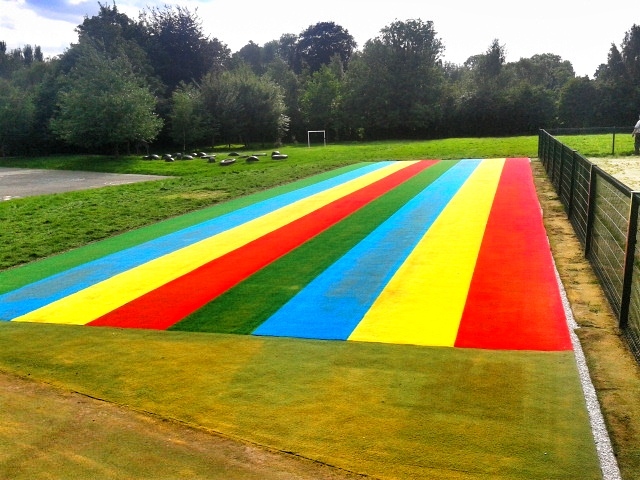 This was done in a brightly coloured rainbow design using Multisport synthetic turf which is a durable and soft sports flooring type. These kinds of facilities are ideal for schools and local leisure centres as they can be built to fit into smaller spaces which many not have room for a full running track. Across the UK it is becoming increasingly important for young people to get more active, so having accessible athletics facilities in schools and local clubs is a great way for children to get involved in new sports. Make sure you get in touch with one of our specialists through the contact form on this page if you’d like to talk about the designs and costs of smaller sized athletic facilities. We’d be happy to help by providing you with some product sheets and more advice on the best surfaces for you. 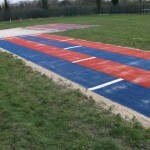 As compact athletics facilities construction specialists we can design a range of smaller sized sprint tracks, high jump fans, long jump pits and other features which can be chosen separately or incorporated into a multi-use space. The main aim of these designs is to scale down larger sized features of athletic facilities so that they can be used in places with limited space. This could be done by designing a smaller sized running track or having a sprint track which doubles up as a long jump and triple jump runway. We specialise in the construction of these multi use athletics areas and can provide a range of surface types and designs to suit your requirements. A popular surface specification for general all-purpose sports areas and particularly athletics tracks is the Multisport synthetic carpet. This is an artificial grass material which is made up of curly yarn fibres with a sand infill to provide stability. As a soft and durable carpet this is ideal for recreational facilities, especially in primary schools where younger pupils will be using the area. Another alternative surface that we can install is polymeric rubber which is a hard flooring specification made from EPDM rubber crumb. Depending on how your compact athletics facility is going to be used, our professional experts will be able to advise you on the best surface type to choose. 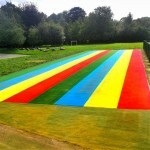 We offer both of the surface specifications in a range of colour choices including red, blue and green so you can have a fun and exciting sports area that children will love. The costs of installing compact athletic surfaces tend to vary depending on the different features you choose and the area size of each one. We are able to make a bespoke design to suit your price range and budget while still creating the right performance qualities for each of the chosen activities. As professional sports surface installers we have completed many projects at schools and community clubs throughout the UK, so our experts would be happy to help you with any questions you have. Please feel free to fill in the quick enquiry form on this page if you would like to speak to us about the costs of installing a recreational athletic surface. We have worked as compact athletics facilities construction specialists in the UK and will be able to offer you some professional advice on each part of your project.